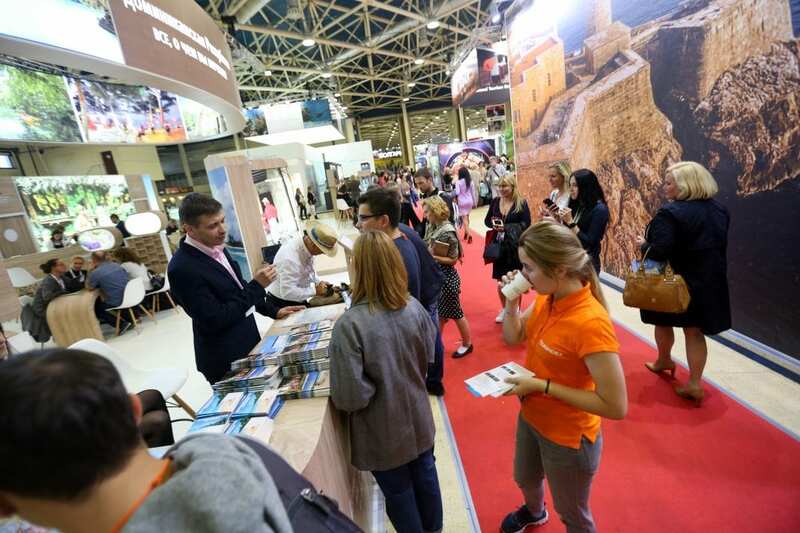 OTDYKH Leisure is back September 10-12 2019 with its 25th edition of the world-renowned travel expo. The expo will showcase an impressive 900 exhibitors from over 80 countries and Russian regions, providing a fantastic opportunity for international companies in the travel industry looking to tap-in to the flourishing and lucrative Russian travel market. The Russian tourist industry has faced a difficult few years due a number of factors including the 2014 devaluation of the Russian ruble which increased foreign travel costs by over 20%. However, government statistics show that Russian outbound tourism has grown exponentially and has now almost reached peak pre-crisis levels, with Russian travellers making close to 40,000 trips abroad in 2017. Turkey has firmly regained its position as Russia’s favourite tourist destination with the number of visitors rising by 25% in 2018. In 2017 alone, Turkey received 4.72 million Russian visitors, with total statistics for 2018 expected to stand at six million. Other top tourist destinations for Russian holiday-makers include Greece, Cyprus, Tunisia, Spain, Italy, France and the United Arab Emirates. Domestic tourism also heavily increased last year when Russia hosted the 2018 World Cup. An estimated seven million tourists visited Russia from hundreds of countries all over the world, strengthening Russia’s international profile and breathing new life into the country’s tourism industry. At the heart of the Russian travel industry, and a major driving-force behind the growth in the market is the annual world-renowned OTDYKH fair, which celebrates its 25th anniversary this year. The name OTDYKH means “leisure”, and since the expo’s inception that has been the focal point of the annual event. The OTDYKH Leisure trade fair was founded in 1994 in order to facilitate networking between businesses and representatives in the tourism industry, and to showcase the potential in the Russian market. In 2008 the OTDYKH Leisure trade fair was awarded a Quality Label by the Russian Union of Exhibitions and Fairs (RUEF), cementing its status as Russia’s leading travel and tourism event. Last year’s expo was a resounding success with over 38,000 visitors over the three days, and 287 media attendees from 80 media partners, expertly combining the B2B areas of Leisure Travel, Medical, Spa and Health Tourism and Luxury Travel including Gourmet & Wine tourism. The Dominican Republic – a major winter holiday destination with over 240,000 Russian tourists visiting in 2017 – were the proud partners of the 2018 OTDYKH leisure trade fair. The Ministry of Tourism for the Dominican Republic and thirteen co-exhibitors hosted a 200m² stand (twice the size of 2017) delighting visitors with a series of cultural and artistic performances, traditional music, dances and Caribbean cuisine. This year the expo promises dozens of exciting events across multiple conference halls, hundreds of expert guest speakers and thousands of visitors from across the travel industry. Exhibitors are invited to participate and celebrate the 2019 OTDYKH Leisure trade fair and celebrate 25 years of the expo’s continued success. Early-bird offers are available on a first-come-first serve basis to those looking to get involved in this extraordinary event, a veritable cornerstone of the Russian travel industry.